I’m starting this series to document our prairie restoration project near Worthington, MN. When we started thinking about how to manage our land, I could find few resources that documented what to do and what others experienced. I hope to do three things: 1) document the project for personal preservation, 2) solicit any feedback from anyone out there who has done this, and 3) perhaps serve as a resource for people asking the same questions as I am. Lisa and I bought out property in Worthington, MN a few years ago, it included a total of around 40 acres. Five of those acres comprise our house, outbuildings, and yard. The remaining 35 acres are approximately 5 of fastidiously planted grove, 15 acres of prairie and wetlands, and 15 acres of tillable farmland. We knew we wanted to improve the current (unmanaged) prairie/wetland space. We had no idea what we wanted to do with the farmland. Our property sits in the Lake Ocheda Wildlife Refuge. For us, this was one of the largest selling points when we bought the property. We really enjoy the wildlife–every day I’m surprised by something nature does. We have dozens of pheasants, several roaming herds of deer, two great horned owls, and (depending on the season) bald eagles, geese, ducks, and coyotes (unfortunately). Our overarching goal is to enjoy our property. I love walking through the woods with our dog, Kota, or driving our side-by-side on our trails. I run and mountain bike on our trail too, and in the winter I cross country ski every day. I use EVERY square foot of the property. Part of our enjoyment is the wildlife. We want encourage and support more of it–we want to make the property function well for them. I started several (now six) beehives. I’ll save this for another story, but it’s one of the ways I get out and enjoy our property–and it gives us something great in return. So, creating pollinator habitat is now a major goal. 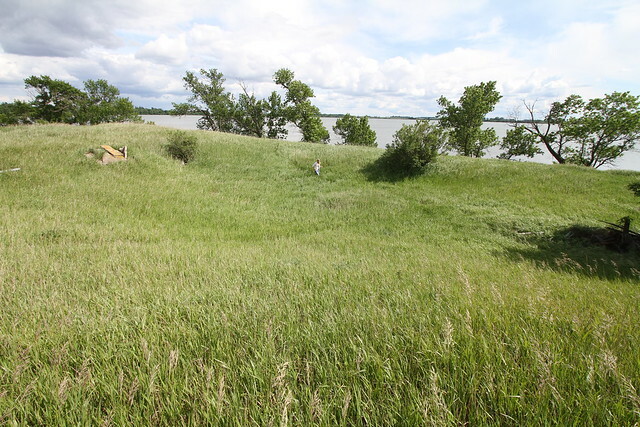 The 15 acres of wetlands and prairie will require a lot of ongoing work. As best I can tell, the land was never managed well. It’s filled with brome grass and invasive plants. Our plan is to conduct a series of controlled burns, then start working to introduce native grasses and help them out compete the non-natives. I’ve heard this can be challenging. Right now, it’s not my first priority. What I am addressing with it is cleaning up the incredible amount of trash dumped in several spots and still clearing up brush from 2013’s destructive ice storm. 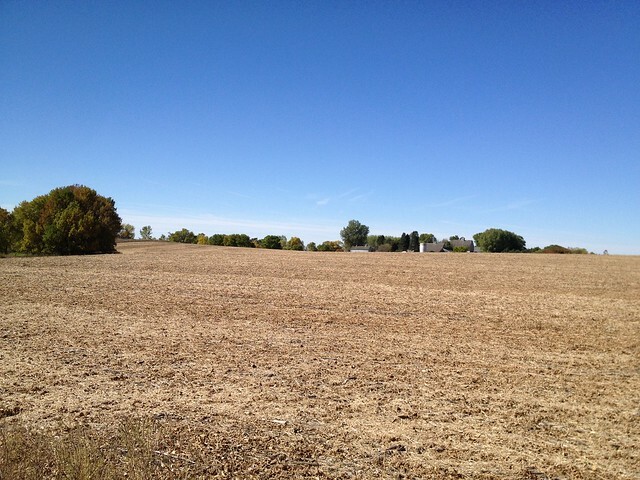 Initially, we didn’t know what we wanted from our 15 acres of farmland. The previous owner was renting it out, so we decided to stick with that plan for the first couple years until we had a better sense of direction. Lisa comes from a long line of farmers, so we thought about farming it ourselves. When we started to do the math on the cost of owning enough (even small) farm equipment to get the job done, that was quickly nixed. I suggested raising more exotic kinds of animals, ideally American bison. I love bison–the symbol of plains. The first problem is that they require really really strong (and tall) fences. That seemed like a lot of work and money. Also, herds of bison needs hundreds of acres, not dozens. I also suggested caribou, but the fence was still an issue. On top of that, it would make our 15 acres relatively unenjoyable–I can’t really walk the dog through a bison herd unless I want to get trampled. Finally, we turned to the CRP (conservation reserve program) which helps landowners restore land to native grasses. This did everything we wanted–we could use the land (walk, run, etc), it can support our bee project, it looks beautiful, and it supports wildlife. On top of that, CRP provides some financial assistance in establishment and maintenance of the land. So, we decided on native grasses with an emphasis on pollinator habitat. Do any readers have suggestions/advice for us? Anything you would like me to document or try in our process? It’s been a busy winter and I’ve been away from the blog. My latest book, The Daring Heart of David Livingstone, released this fall. Since then, I’ve been busy promoting the book and speaking various places. Even before that book hit shelves, I had already inked the next book (due fall 2017), but I’ve been fully immersed in research and writing with every moment I can find. This is all, of course, in addition to my teaching and law responsibilities, including a month spent teaching in Europe. So, the blog has not had much attention. With limited hours to write each day, I keep my attention on books and articles. I decided, however, to document a few side projects in the works. 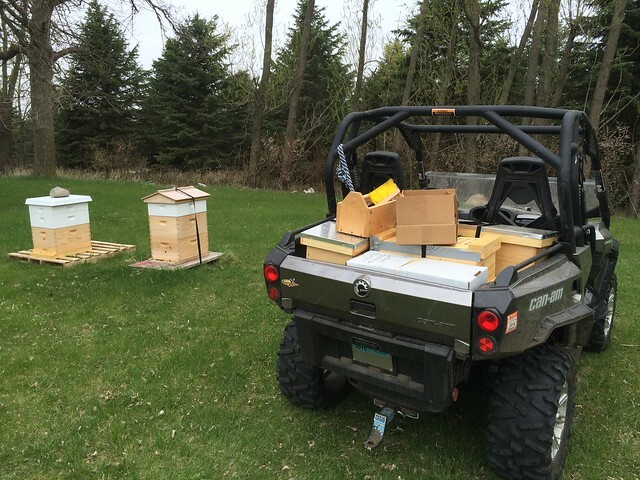 I’ll probably write a few blog posts related to the prairie restoration project we have on our land in Worthington, our bees, and an initiative I’m starting to bring my Business Law course online. I’m proud to tell you about my latest book, The Daring Heart of David Livingstone: Exile, African Slavery, and the Publicity Stunt that Saved Millions. I came across Livingstone’s story on one of my trips to Africa. What captivated me was his passionate interest in ending the slave trade–a purpose he would eventually give his life to see accomplished. I went looking for a book on this aspect of his life… and I found none. I’m thrilled to share this with you–the lost story of a man who might stand as one of our heroes of faith and humanity. In the century since his death, David Livingstone’s life has been recast, rewoven, and retold as the rugged adventure of a patriotic scientist on the dangerous road to discovery. He has been alternately painted as a real-life Indiana Jones and a one-man Lewis and Clark. Livingstone has been secularized, lionized . . . and misunderstood. Most consistently overlooked (or ignored) in accounts of Livingstone’s life is the contribution he made to the abolition of the slave trade in Africa–and the Christian faith that drove his efforts. The Daring Heart of David Livingstone removes the veil that history has cast over the faith of a valiant Christian believer. The quest for the source of the Nile will forever be associated with David Livingstone, and his adventures in the name of scientific ambition certainly make for a compelling story. Equally compelling, however, and far more important, is the story of African liberty, freedom, and redemption that this flawed foreigner left in the wake of his death. Here, finally, is David Livingstone’s complete story: the story of a man of great faith, fallen in his humanity but driven by his belief in the sanctity of God’s creation. Though few could ever match his wonder at the natural world, it was his horror at human enslavement that propelled him in his most courageous, longsuffering work. I haven’t written on the blog much this spring/summer. Since our Thailand trip, I’ve been busy working on very large writing project which, on top of other life changes, has stolen all of my writing bandwidth. HJ Ludlow was famous and cherished in the region. 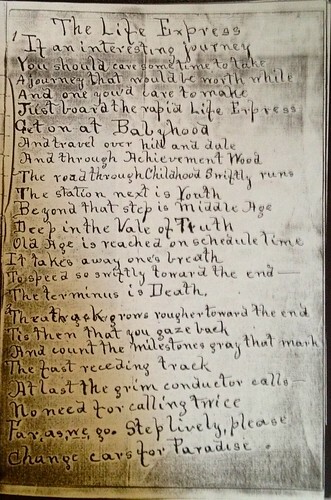 He was a pioneer, a forward-looking agriculturalist, and, notably for this post, a poet. I’ve heard he would write and often recite poetry. With this post, I plan to start an occasional series on my blog. As I read through HJ’s journal, I will republish is poetry or “sage” wisdom I come across. Far, as, we, go. Step lively, please. 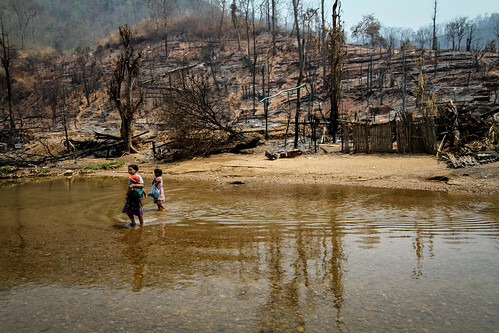 In the middle of a border mission near Karen State, we received news of a fire decimating a refugee camp in Northern Thailand. Dozens killed and many homes burned. Scattered updates, thin reporting, and suspicious causes gave us little comfort that needs would be well handled. Being many hours away, there was little we could do immediately. The refugee camp in Thailand is not within the typical scope of the FBR mission to serve the people of Burma—the Thai refugee camps have many NGOs proving aid. 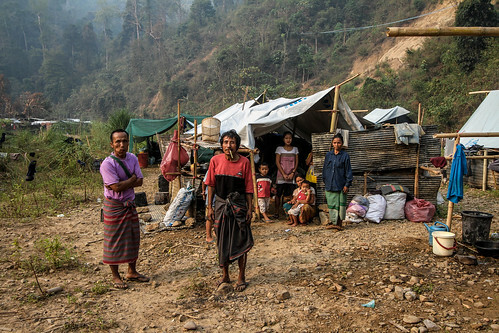 Still, several ex-Free Burma Rangers and many once-IDP families in Burma now call Camp 2 home. With no clear answer on what to do, Dave prayed for a way FBR could help. Minutes later, he opened his computer to find an email from ____–they had relief supplies, but no means of transporting them to the camp. FBR had trucks and rangers ready. Doh Say, a Karenni FBR leader, led the trip, joined by Jonathan, Lisa, and me. The mission would be no slam dunk. Refugee camps in Thailand notoriously restrict visitors—especially foreigners, since the camps “technically” do not exist. Despite the challenges, our team took off Saturday morning for an anticipated five-hour drive. Ten hours and several engine overheating stops later, our truck rambled into the first checkpoint along the road the refugee camp. We were not sure what would happen next. Three hours prior, we received a phone call that the camp gate would close at 5 p.m. We prayed for an opening and kept moving, anticipating that we might sleep on the hood of the truck at the camp gate. We had neither. We decided to wait them out. Two other trucks from Chiang Mai arrived just in front of us. They received the same frustrating news. After waiting 30 minutes, the Thai soldiers came to us and said they called the camp commander who would allow us to drive to the gate and then make a determination there. With no guarantees our relief supplies or our FBR team could get into the camp, we pushed ahead. There would be no turning around for the next two hours. The road to Camp 2 winds up and down a ravine, crossing a large river in at least a dozen places. 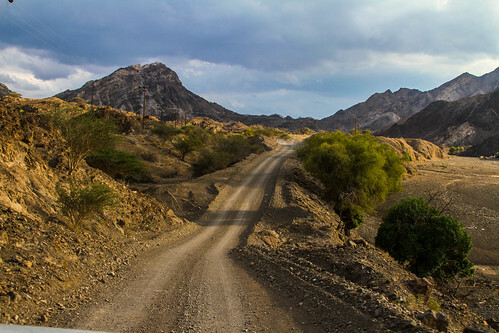 The off-road trail requires four-wheel drive with deep ruts and steep climbs through the jungle—picture taking the back entrance to Jurassic Park. With darkness already upon us, the pace slowed to a crawl. Two hours later, our truck entered the rocky flats along the riverbed. A surreal world greeted us. Hundreds of candlelit tents lined the steep canyon walls around, reflecting off the snake-like river our trucked waded through. We drove straight up the river in places, finally coming to a halt at an oasis of technology in this remote camp: the emergency response center, complete with satellites, internet, and aid workers. Doh Say stepped out to negotiate. “We can go,” he told us minutes later. If we had a place to stay in the camp, we could walk in and drive our truck in tomorrow. “Hurry before they change their mind,” Doh Say stressed. By flashlight, we began a walk into an extraordinary land of suspended bamboo walkways and tree trunk footbridges. 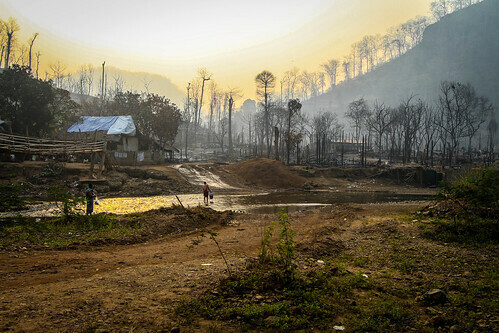 Crisscrossing the river, entered a portion of the refugee camp burned to the ground. The air smelled of recently scorched earth and, in places, the fire still burned and logs continued to smolder. Charred bamboo poles rose eerily from the ground and each step left footprints in the ash. We soon arrived at the bamboo home of the camp chairwoman. I’m not sure whether they knew of our arrival, but they made space for us to sleep in and prepared dinner. 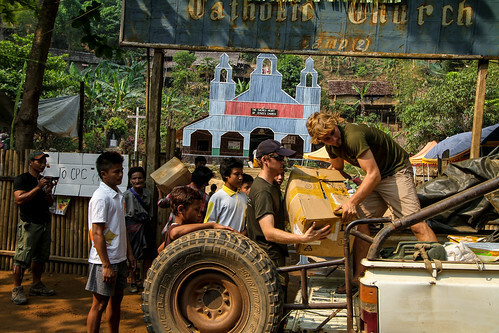 We rose in the morning to deliver relief supplies, including rice and cooking materials, and begin interviewing victims. We made visits to families in two sections displaced by the fire, as well as interviewing several other victims and the camp chairwoman. The fire victims received temporary tarp shelters. In total, the blaze destroyed at least 380 homes out of 685. The fire consumed 55% of the camp (2 sections), displacing approximately 2,300 people. In addition to the homes, the fire burned 2 churches, 1 Bible school, and a large clinic. 39 people died in the fire, including two unborn children. The sections of the destroyed refugee camp contained predominately Christian families. 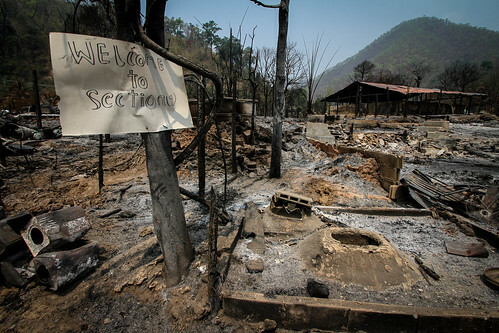 They requested new Bibles, which mostly burned in the fire and relief organizations do not provide them. The refugees interviewed said they had a lot of time between seeing the fire and it arriving at their home. One section burned in 10-15 minutes while the other burned over the course of 30-60 minutes. Yet, they did not know what to do an often ran in and out of their home in fright. Despite the amount of time, they did not save any possessions from their homes. Others attempted to fight the fire instead of saving possessions. Also, many of those who died did so because they went in to rescue victims. All of this gives rise to some questions about the adequacy of fire response training among the refugees. The cause of the fire remains unknown as well as the subject of suspicion. Early reports suggest a cooking fire. Some refugees, however, cite seeing an aircraft fly overhead and drop a glowing material. 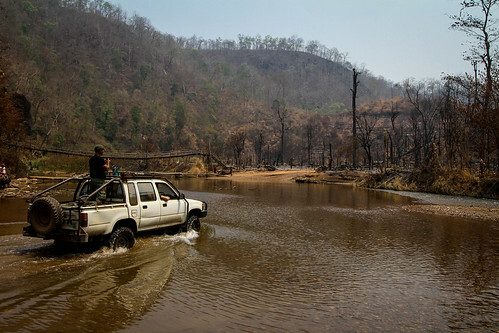 The Thai government operated rain-seeding aircraft in the area at the time of the fire. Other refugees said the size of the fire was too large for it to be a cooking accident because the fire had to jump a wide river in several places. Additionally, they said the fire appeared to begin burning in two places almost simultaneously. The cause remains under investigation. After spending about 10 days along the border, I am way behind on my bogging and report. More to come soon!! 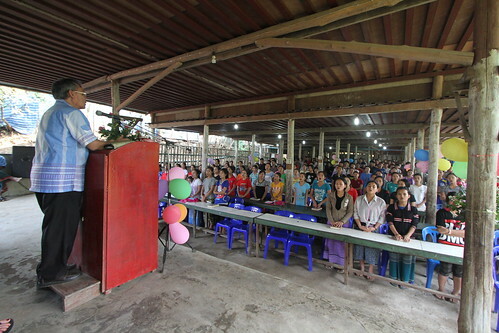 Request from Karen Refugees: Change the Dictionary! I am in Thailand again for the annual Pepperdine Law Spring Break trip. It’s arguably my favorite event to lead. 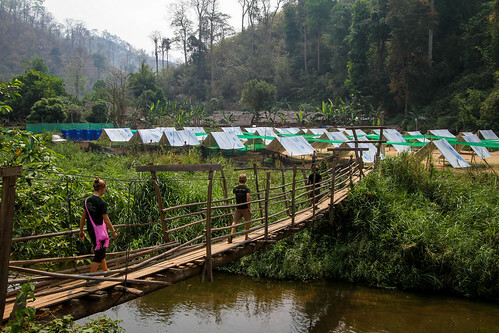 One of the most fascinating experiences for our students is an overnight stay at Mae La Refugee Camp with the Karen people along the Thai-Burma border. We learn about the plight of the Karen, the dramatic story of Burma, and the ongoing fight for freedom. As usual, we joined them on our morning of departure for a church service. In typical fashion, we sat in front and each student introduced themselves. I gave a message. When that was over, one of the pastors thanked us and, in front of 450 Karen in the congregation, asked for our help in an important matter. The dictionary. In The New American Oxford Dictionary, he explained, the Karen people are defined as a “wild unclean man.” Could you help us change it? he pled–he had written to the dictionary and received no response. I was stunned–by both the perplexing nature this prejudicial definition and the specificity of their request. Naturally, as lawyers, we all wanted to see the definition in print. An outdated dictionary perhaps? Urban legend possibly? We would need to make it back to Chiang Mai to read this supposed definition in an obscure dictionary edition. On Lisa’s Kindle, The New American Oxford Dictionary comes pre-loaded. Not so obscure after all. And, there it was, the high definition: “from Burmese ka-reng ‘wild unclean man.’” The offending definition was Oxford’s proposed etymology, not the full definition itself. Nonetheless, the Karen position is completely understandable. For the several million strong Karen population now spread the world over as ambassadors and refugees of Karen nation, the definition is simply offensive. Especially for refugees getting resettled among 11 nations, the definition is prejudicial. The New American Oxford Dictionary origin, however, is suspect. 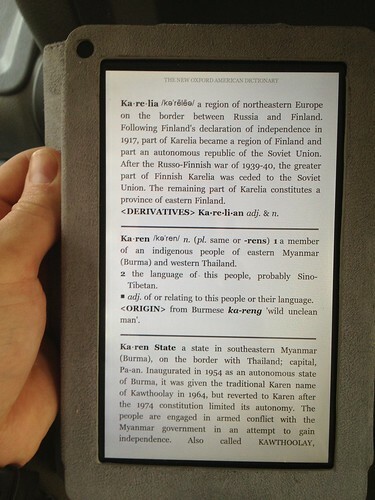 First, the language of the Karen isn’t Burmese—it’s Karen. It’s dubious that the Karen would adopt a name for themselves not of their own language. It’s also questionable that they would willfully adopt a derogatory term. We immediately began some research on the origin of the name. It’s been studied by anthropologists and there is a fairly clear consensus among them: they don’t know. While the exact origin of name “Karen” is unknown, the most probable scenario is that it came from the Kayin, another hill tribe in eastern Burma who speak a related Sino-Tibetan language. No anthropologist suggests the name originated a derogatory Burmese term. While the exact origin of “Karen” is unknown, The New American Oxford Dictionary treats it as conclusive fact. At the very least, this is incomplete and misleading, if not woefully inaccurate. While the good people at Oxford Press may not be moved by the effect of their definitions, I suspect they are concerned about the accuracy of their dictionary. So, what do we do from here? Despite their many needs as refugees, its not very often that the Karen ask for something specific. Thus, we are inclined to do what we can. 1) Does anyone have an explanation for the Karen name that explains or refutes the NAOD definition? 2) If the definition is inaccurate, does anyone have any suggestions for how to help get the definition changed? We are considering a letter from Pepperdine University School of Law to Oxford Press as well as a subsequent or concurrent Change.org petition. Made to Work (Part 1): We ARE Made to Work Hard. In 2012, I started thinking more about the nature of work. Why? Because 2012 was a lot of work. On top of my regular tasks directing the Global Justice Program, I finished writing Go and Do, I criss crossed the U.S. speaking and promoting the book, and traveled a lot internationally–about 150,000 miles. It was exhausting. Inter-Country Adoption Conference Coming Up at Pepperdine! Inter-country adoption is at a crossroads. Proponents see it as a way to provide for children without a family or a future. Critics call it a door to corruption and cultural imperialism. Events in Russia of the last few weeks illustrate the timeliness and importance of inter-country adoption on the world stage. This conference seeks to bring these voices together to explore this complex topic and find common ground. The Conference will be held at Pepperdine University School of Law from February 8-9, 2013. If you are interested in this topic, considering inter-country, or know someone who is, you won’t want to miss it. We will welcome some of the leading thinkers and practitioners to the event. Learn more and register on the Nootbaar Institute website. Do you work in the inter-country adoption field? Have you adopted or are you thinking about adopting? Do you have a heart for orphans and children in need? Join us at our two day conference as we bring together scholars, politicians, lawyers, theologians, social workers, psychologists, adoptees, adoptive families and more to investigate the future of inter-country adoption. Go and Do was released last week and, on day 1, we sold out Amazon! Thank you to all who purchased it! It should also be on the shelves at Barnes & Noble this week. This is not just to launch a book, it’s also a celebration of 5 years of the Global Justice Program at Pepperdine Law! We’ve come a long way in a short amount of time, so we will recognize those who piloted original programs in Uganda, Thailand, and beyond, as well as commission those leaving in the next few weeks. Oh, and did I mention we will be serving Howdy’s — good finals break!! Please join us to celebrate the global efforts of Pepperdine’s students and the release of Jay Milbrandt’s new book, Go and Do: Daring to Change the World One Story at a Time. 12:30pm in the Appellate Courtroom- Howdy’s for the first 50 people! Several former and current students will share their experiences seeking justice around the world. We’ll also recognize those who have participated in past years and who will serve this summer. Jay will share some reflections from Go and Do, which features the work of Pepperdine’s Global Justice Program. Learn more about the book at http://JayMilbrandt.com/GoAndDo. The book is currently back ordered on Amazon, but copies will be available for purchase at the event. Jay will sign copies at 1:30pm. I haven’t blogged much lately. Maybe you’ve looked at the blog, maybe you’ve noticed that I’ve had few tweets or Facebook updates to my musings here. So, why the radio silence? The blog takes A LOT of work. At the beginning of last year, I committed to writing 2-3 times a week. I accomplished it and kept it up for most of the year–a solid 9 months really. I enjoyed it. It forced me to write and think about things. It was also a good time to be writing. My book, Go and Do, was finished and we were waiting for it to go to press. I had time to write new things as we anticipated its summer launch. One of my blogging surprises was how much work a simple post would take. I’d think, “I’ll just pound a quick 5 minute post.” Wrong. A simple post was rarely short of 45-minutes, maybe an hour. I’d write, then edit, then find photos, then re-read, then publish, then fix errors, then publicize with social media. In addition, some piece of code or something on the blog is always working improperly or needs updating. And there’s always a project I want to get to. Blogging is good, but it’s a never-ending consumption of time. Then, there are priorities. If you’re spending an hour blogging, that’s an hour that you can’t spend writing. And, if you’re writing, an hour is HUGE. When I sit down to write each day on a big project, it can sometimes take an hour just to get back into the right head space again and find my bearings. Right now, I’m in a writing period again. I’ve got some academic articles and big projects in the cue. It’s hard to come back to the blog. 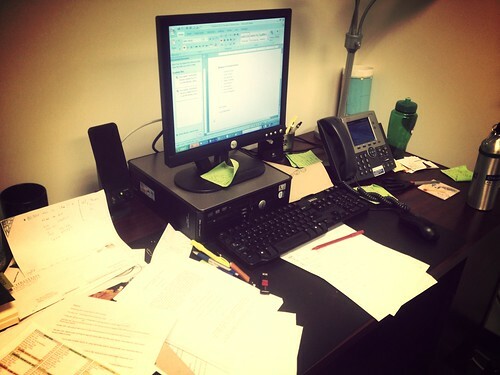 The blog also served as a way to organize my thoughts for Go and Do. Many of my blog posts formed major ideas and chapters in the book. The writing projects I have at the moment don’t lend themselves well to a blog. You’d be bored by my musings on African explorers or laws for adopting the stateless. I hope to return to the blog, and plan to later this spring. Keep an eye our for more down the road in March. Some big things are happening then. In the meantime, I’ll continue posting, but it will remain lighter. © 2019 Jay Milbrandt. All Rights Reserved.